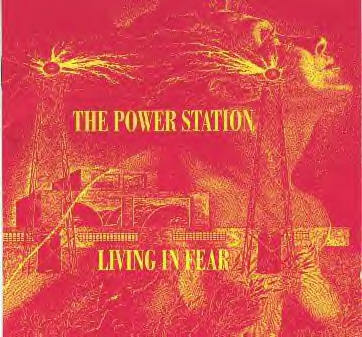 The Power Station was a one off side project in 1985 for two Duran Duran members John and Andy Taylor (no relation), singer Robert Palmer and two members of Chic, Bernard Edwards and Tony Thompson. All of their careers are in the toilet now -- both of the Taylors have left Duran Duran for unproductive solo careers, Palmer's career has stalled out and Thompson is not getting the production gigs he used to. Sadly, Edwards died soon after recording this album. The original band was already disposable -- they only got together originally because John and Andy Taylor always wanted to do a disco remake of T-Rex' "Get It On (Bang A Gong)." Twelve years later they don't even have the little bit of juice they once had, the album languished in the cans for a year before finally getting released on the tiny Guardian label.